G and C Independent Living offers 20 beds in dormitory style home. This level of care servers men ages 18 to 70. Services are focused on social skills development, character development and life skills. Our facility is located on 20,000+ square feet with a large patio area for smoking and several BBQ pits where we have tailgates during and cook offs during the sports seasons. Residents are required to sign a month to month lease. Monthly rent of $500 with no deposit.. Plus a portion of your food stamps(SNAP) will go toward to contribute for meals. And if you are not on the stamp program the rent will be $550. Meals are prepared for breakfast, lunch and dinner. 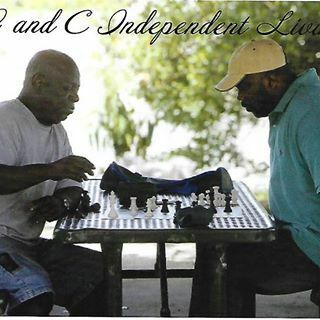 Men who reside at G and C Living will have the ability to mainstream and interact with each other in our community recreation center which is equipped with internet access with a tournament size pool table, on-demand movies, TV shows and a large storage pod told personal items.